The reasons are many. The rules and regulations surrounding rent stabilization are complicated on a good day–and they’re frequently exploited. Knowing the facts and where to find information on your apartment can help you get the most from regulations that were intended to provide some of the affordable housing the city needs so badly. Rent control–another form of rent regulation–was put in place to address the post-World War II rental housing crisis and is very different from rent stabilization. Rent controlled apartments are much more rare; only two percent of the city’s apartments are still rent controlled. The rules that govern rent control are much stricter. You can find out more about rent controlled apartments here. Where the NYC rent regulated buildings are. Map by Naked Apartments. The map above from nakedapartments.com shows where rent regulated apartments are concentrated throughout the city. A new website called amirentstabilized.com offers a quick way to see which New York City buildings fall under rent stabilization. That’s a good first step to finding a rent stabilized apartment (or finding out if you’re living in one). 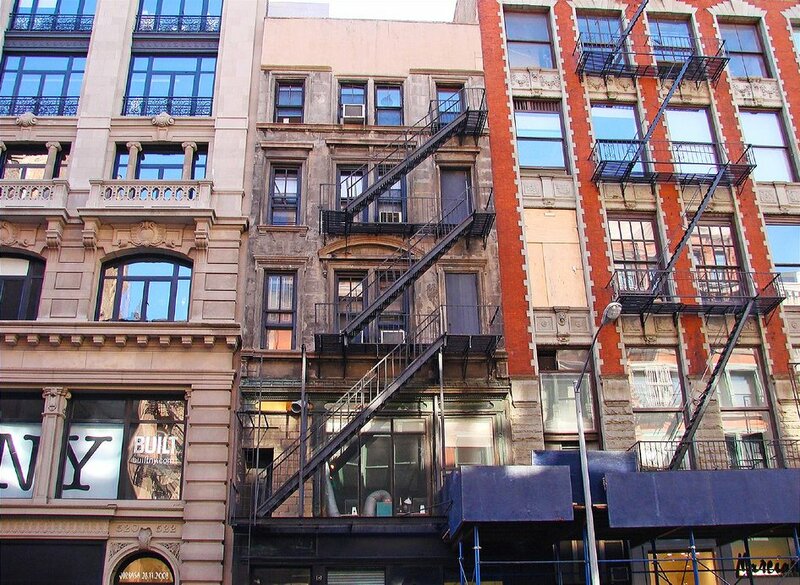 There are no set requirements for rent stabilization, but these are some general guidelines. In NYC, rent stabilized apartments are generally apartments in buildings of six or more units built between February 1, 1947 and January 1, 1974, and priced below $2,000 before 2011 (or below $2,500 today). Tenants living buildings of six or more units built before February 1, 1947 and who moved in after June 30, 1971 were also covered by rent stabilization at some point. Rent stabilization also covers buildings with three or more apartments constructed or extensively renovated after 1974 that receive J-51 and 421-a tax benefits. These buildings are stabilized only while the tax benefits continue. If it were as easy as finding a building that fits the description and waiting until someone moves out, we’d all be set, right? First, the more obvious reason it’s not easy to find a rent stabilized apartment: Once they’ve got one, people don’t want to move. In Manhattan below 96th Street, 35 percent of rent regulated apartments are occupied by a tenant who has lived there for more than 20 years compared to less than three percent of market rate tenants. The average length of tenancy in a regulated NYC apartment is 12 years, while the average tenant in a market rate unit high-tails it after four years. Another reason they’re so hard to find: Decontrol provisions implemented in 1993, the ordinary rental turnover process and a tight market all lead to apartments losing their rent stabilized status legally. And while many landlords are honest and play by the rules, there are many dishonest landlords who circumvent the rent stabilization laws and get market rents from either unknowing tenants or those who don’t feel they have any recourse. So what’s so good about having a rent stabilized pad? Well-below-market rent and no big rent hikes. The landlord can only increase the rent by a small percent (capped at two percent for a one year lease as of 2013). Renewal rights. The landlord must renew the tenant’s lease annually or every two years; they may not be evicted except on grounds allowed by law–even if they’re a lousy tenant. Improvements and services. Tenants are entitled to receive required services; they can apply to the New York State Office of Homes and Community Renewal (HCR) for rent reductions if services are not maintained. (Even if you live in a market rate apartment, you still have plenty of rights regarding maintenance, eviction, safety and many more items you may not know about). Subletting. As a rent stabilized tenant you have the right to sublet your apartment under certain circumstances as long as it’s your primary residence. Bankruptcy protection: In a recent New York State court case it was decided that a rent stabilized lease can’t be seized in bankruptcy proceedings. Tenants of an affordable Mitchell-Lama building picketed landlord Trinity School, who had hoped to sell the building and has been allowed to raise rents. Image: Angela Radescu via Flickr. But rent stabilization doesn’t last forever. There are many factors that can legitimately deregulate a rent stabilized unit upon vacancy, meaning the owner can ask whatever he or she wants in rent, assuming the market will support it. Rent stabilization starts with the building–but every unit in the building can have a different story when it comes to how much its tenants shell out every month, as with this New York Magazine snapshot of the LES apartment building famous for being one of Madonna’s early crash pads. How can a rent stabilized apartment be deregulated? A legal vacancy increase of 18-20 percent. If a tenant lived there for eight years or more, the landlord is entitled to a bonus raise of 0.6 percent multiplied by the number of years since the collection of the last vacancy increase. Major capital improvements (to the building), such as adding an elevator or improving common spaces. For rent stabilized NYC apartments, the annual rent increase can be up to 6% of the current rent. Individual Apartment Improvement Increase for renovations to the unit after vacancy: The owner can collect a rent increase equal to either 1/40th or 1/60th of the cost of the improvement, to be taken after any other vacancy increases are applied. Conversion: If the unit is in a building converted to a co-op it may be deregulated upon vacancy. Expiration of a tax abatement: Once 421-a and J-51 tax abatements on a building expire, owners can legally charge market rate rents. Generally the only way an apartment can become deregulated when a tenant is in residence is if it reaches the $2,500 level and that tenant’s income is $200,000 or more and has been in excess of $200,000 for two years. In some cases, 421-a and J-51 tax abatement buildings may become deregulated at the end of the last lease commencing during the period of the tax abatement. The situation would be fairly simple–if everybody played by the rules. Dishonest landlords frequently try to charge market rates on units that are still legally rent stabilized, banking on the fact that the vast majority of tenants won’t investigate. They fudge rental records, distort improvement expenses and exaggerate or just flat-out lie about improvements they’ve made in order to destabilize the units. Tenants are regularly awarded years of back rent because their landlords misrepresented the terms of a legally rent stabilized lease. According to DNAinfo, 28,000 apartments in the state, most of them in NYC, were returned to their rent stabilized state in the past two years after being illegally destabilized. One example: Lori, a young professional and recent college grad snagged a spacious Yorkville pad with killer views on a tip from a friend. After she’d lived there for about four years, her landlord informed her he was raising the rent–from $1,500 to over $3,000, as her unit was no longer under the rent regulation guidelines. Alarmed, she requested a copy of the apartment’s rental history. Her first sign that something was amiss: She noticed that the name of the alleged previous tenant was not the one she knew had lived there before she moved in; some tenants’ alleged occupancy dates even overlapped with her own. Several fake “tenants” had been added to the records to bump the rent. There were also large increases for capital improvements–such as an elevator replacement–that had never been made. Lori had a relative that was a real estate lawyer, and they immediately sent a letter to the building’s owner to inform them of their intent to rectify the situation. Long story short: The case was settled out of court, with Lori receiving over $20,000 in unlawful back rent and with the rent set back to its much-lower legal level. So how do you find out whether your deal is legit? To make sure you aren’t overpaying your rent, you need to find out as much as possible about your building and your apartment’s rental history. Though it’s not possible to get an official rent figure for the previous tenant until you’ve already signed a lease (“for confidentiality reasons”), the Rent Code Amendments of 2014 require owners to provide the first tenant of a newly deregulated apartment with a notice detailing the last legal rent, the reason for deregulation and detailed calculations, including Individual Apartment Improvements and costs. You can get your own copy of your rent history from the state by calling the Division of Housing and Community Renewal hotline at (718) 739-6400. You can also bring a copy of your lease to any of DHCR’s offices. When looking at your rent history, look for red flags including a major rent hike between years, missing information, or notes that show that a significant amount of information was filed retroactively. If you find any, get help from a housing lawyer or tenant advocate. Next steps: If an advocate or lawyer looks at your rent history and believes you’re being charged too much rent, you have two options: First, you can file a formal rent overcharge complaint with DHCR, which will investigate the claim. This is free, but can take months, even years. The second option costs more but it’s faster: You can take the landlord to court. Free legal help is available for low-income residents through a number of nonprofit agencies. Rents have skyrocketed in newly-trendy Crown Heights. Image: Shawn Hoke via Flickr. Landlords sometimes offer a “preferential rent” that is below the legal rent in order to fill an apartment and then be able to increase it later. Apartments with preferential rents may have a stabilized rent that is higher than what the apartment can get in the current market; the “preferential rent” is the amount that potential tenants are willing to pay. This enables the landlord to keep track of the maximum allowed stabilized rent to preserve the ability to get that amount in the future during better market conditions or if the neighborhood becomes more desirable. As much as 26 percent of NYC stabilized housing is thought to be under preferential rent. Make sure any increases of preferential rents are legal–they are frequently used to illegally destabilize apartments by claiming the “real rent” is higher than it should be. Preferential rent is a factor in a current court case involving a Crown Heights landlord suing tenants who claim that a huge rent hike isn’t fair. The neighborhood became trendy nearly overnight, which astronomically increased the amount of rent landlords could charge (via VV). Those lottery-like windfalls really do happen. If a landlord really wants a tenant to vacate, the only legal option may be to get them to agree to a buyout (though the tenant is under no obligation to take it). This sometimes happens when a property owner wants to convert the building to condos or co-ops. Inspirational buyout stories include residents of 220 Central Park South, where a developer’s desire to move future condo units resulted in at least fifteen residents receiving buyouts above $1 million. 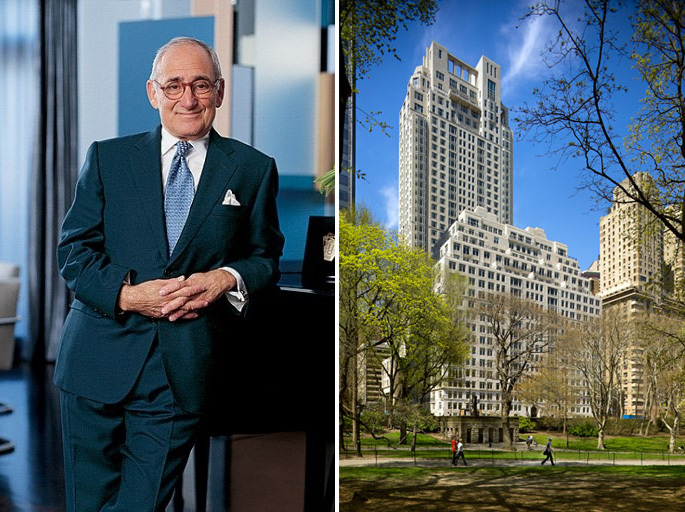 Architect Robert A.M. Stern and 15 Central Park West, the luxury conversion that came with a $17M buyout for a longtime resident. Image via Architectural Digest. The largest buyout in NYC history was immortalized in “House of Outrageous Fortune,” Michael Gross’s book about the celebrity-studded 15 Central Park West. Longtime resident Herb Sukenik, 73, waited until all other rent-stabilized tenants at what had been the Mayflower Hotel had vacated, then used that leverage to get the luxury condo’s developers to offer him an alleged $17 million to move. If you’ve got a stabilized apartment and think the owner has big plans for the building that don’t include you, get advice from a lawyer, stat. Find out more about what the rules and regulations are, and what your rights are, from the New York City Rent Guidelines Board. To find information on a unit you already rent, call the NY State Division of Housing and Community Renewal (DHCR), the state agency which administers the rent laws (718-739-6400). Mayor De Blasio has pledged to make affordable housing a focus in the coming year; read “Housing New York, a Five-Borough Ten-Year Plan,” here (PDF).